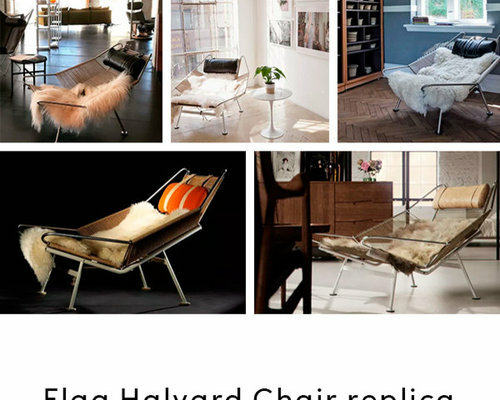 A reproduction of the original, the Flag Halyard Chair Replica by Manhattan Home Design is the ultimate affordable extravagance. 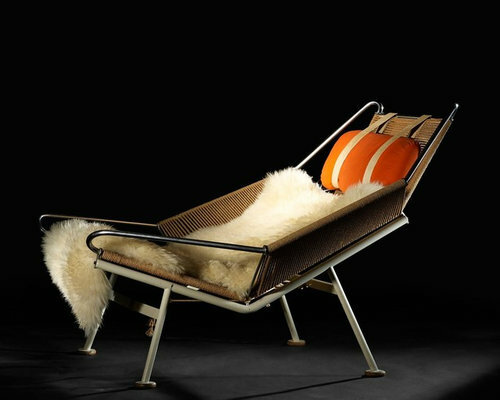 The idea of the Flag Halyard Chair was conceived on a hot summer afternoon by Hans Wegner, while watching the kids play on the beach. 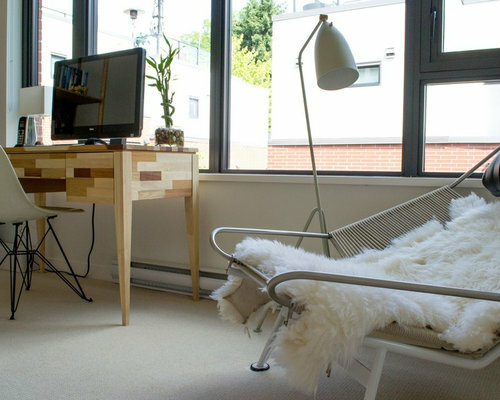 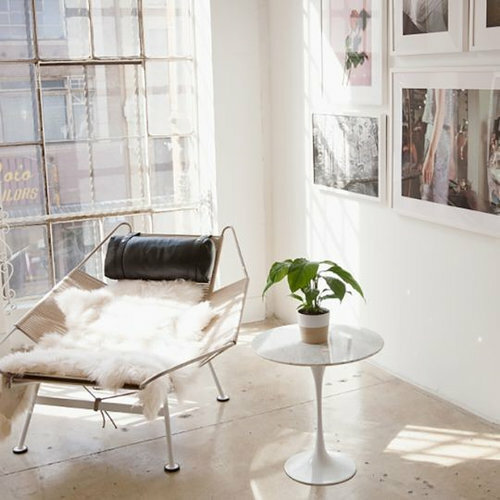 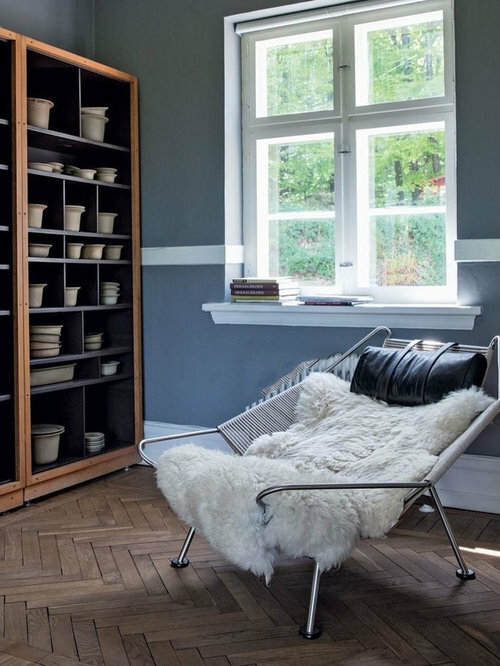 Framed by a stainless steel structure, the Flag Halyard Chair reproduction by Manhattan Home Design is made with a specially designed flag line which is accompanied with long - haired sheepskin. 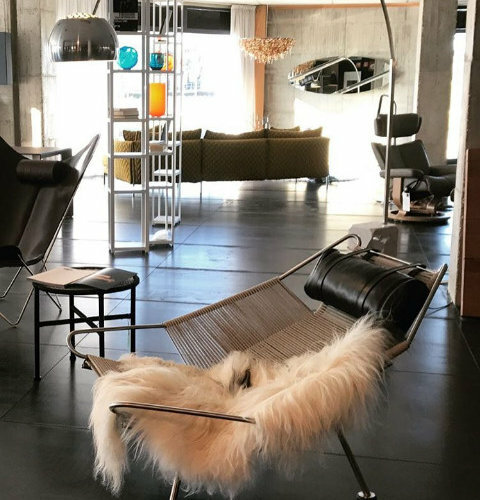 Available in different color combinations, the Flag Halyard Chair Replica is a fine example of our exemplary craftsmanship. 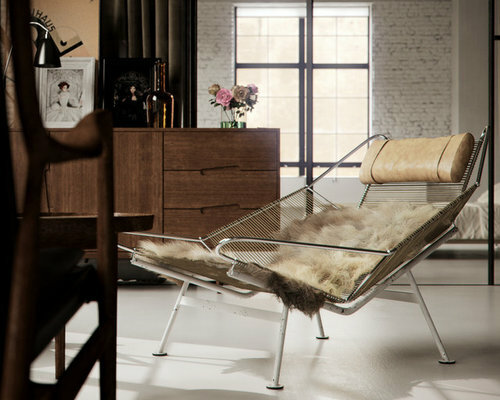 For added relaxation, the Wegner Flag Halyard Chair Replica by Manhattan Home Design comes with a neck cushion upholstered in leather.